Every single website and piece of information on the internet has to be stored somewhere. It does not exist just in the ether world; it has to have a “home” where it is stored. For the most part, this information is stored on “servers” which are essentially really, really big computers. Servers are stored in data centers that have many, many servers either rented out to clients or used by businesses to store their personal information as the amount of information would be impossible to store on an individual computer. Traditionally a company would have a dedicated server assigned to them by the “hosting” company, or the company that maintains and owns the servers. Cloud hosting differs from the traditional in the respect that instead of a company owning one or even several servers, they actually have access to many servers in many different data centers and they basically “merge” these servers together to create a network of virtual servers. The amount of storage that this allows a company to access eclipses the amount that more traditional dedicated servers could ever offer. There are other benefits as well. In addition to the amount of storage capacity that using a cloud based hosting platform offers, there are other benefits that make it truly the way of the future and the obvious choice for many businesses. One of the primary considerations when using a traditional single server system is the ability of the host to keep that server up and running with no interruptions. If the host encounters any problems in the data center and the server goes “down” or becomes inaccessible to the clients, the potential ramifications can be staggering. Being unable to access your website or your business information could be devastating for any company depending on the length of time the server was inoperable. By using cloud based hosting, you avoid this potentially troublesome scenario as the fact that the cloud is comprised of a virtually endless amount of servers that are in essence joined together virtually but never physically. If one server in the cloud goes down for some reason, the rest will back it up instantly meaning you never lose the ability to access information of your website. Another major advantage of using cloud based hosting is the ability to “scale” up your usage whenever required. As your company grows and requires more data storage space, you simply need to request additional space from the host. If you had a traditional server and found you needed more space, you would need to get a second or even third server to fill that need. The cloud based system also allows you to only pay for the space you actually use as opposed to renting an entire server and only using a portion of the memory available. This can be a game changer for many companies who do not necessarily require a full server, but require more than computer offers. The security offered by cloud hosting is also a major factor for proponents of the system. Due to the fact that not all information is stored on a single server or in a single location, the security of the entire system is never compromised by a single server or even a single data center being compromised. This alone is a huge improvement over the dedicated server system that the cloud is destined to replace over the next few years. 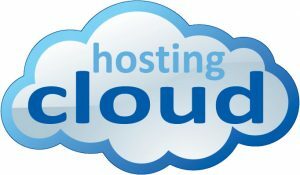 As with every computer related function, there are a wide variety of cloud hosting services available, here are a few of the most popular. The list above includes both North American and U.K based cloud hosting providers.